focuses on the Zen and Huayan schools of East Asian Buddhism on language, violence, and ethics. In her comparative study, Park reads Zen and Huayan Buddhism together with postmodern thought in Continental philosophy, with a special focus on Jacques Derrida’s deconstruction. Park’s research on modern East Asian philosophy examines the dawn of philosophy in East Asia and the East-West encounter in this context. In her monograph Buddhism and Postmodernity: Zen, Huayan, and the Possibility of Buddhist-Postmodern Ethics (2008), Park discusses Buddhism and continental philosophy on the topics of self, language, and violence. In this book, Park offers the “ethics of tension” as a potential ethical paradigm drawn from Buddhism and postmodern philosophy. Reflections of a Zen Buddhist Nun (2014), is a translation of a book published in Korean in 1960 by Kim Iryŏp (1896-1971), a writer, first-generation Korean feminist, Buddhist nun, and philosopher. In this book, Kim Iryŏp offers a creative interpretation of Buddhist philosophy and practice. In Women and Buddhist Philosophy: Engaging Zen Master Kim Iryop (2017), Park proposes a new mode of philosophizing based on the discussion of Kim Iryŏp’s life and philosophy. Park is also the editor of volumes: Buddhisms and Deconstructions (2006), Merleau-Ponty and Buddhism (co-edited, 2009), Comparative Political Theory and Cross-Cultural Philosophy (2009), and Makers of Modern Korean Buddhism (2010). 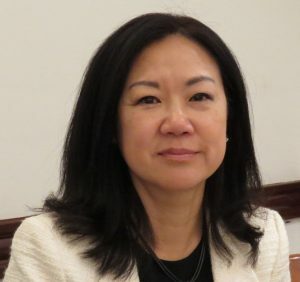 Park currently serves as President of the Society for Asian and Comparative Philosophy and also President of the North American Korean Philosophy Association. Park also served on the Board of Directors at the American Academy of Religion. This event is sponsored by Paul ’63 and LaVonne (Olson) Batalden ’63 and Stephen ’67 and Sandra Batalden.